VATICAN CITY (CNS) — The Pontifical Academy for Life and the Catholic Bishops’ Conference of England and Wales extended prayers for a terminally ill baby, the medical staff caring for him and the parents who have lost a legal battle to keep him on life-support and seek treatment in the United States. 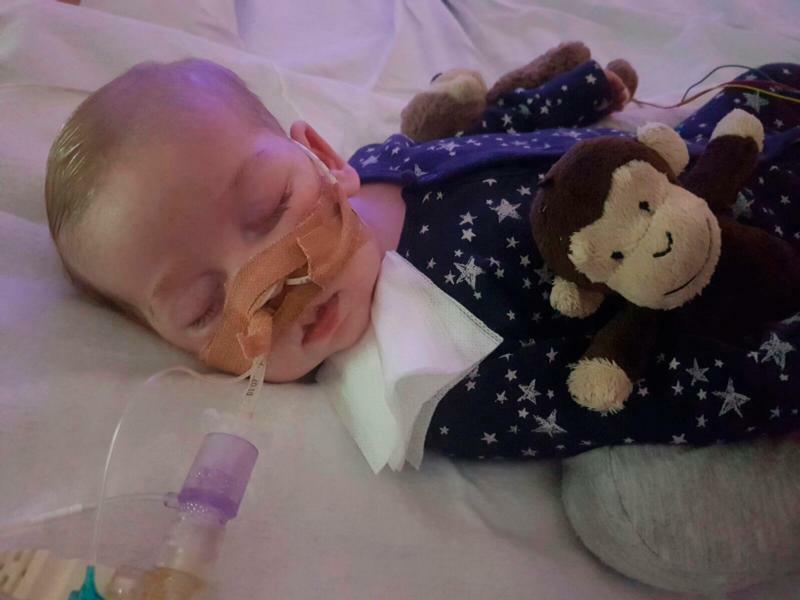 Ten-month-old Charlie Gard was born in England with mitochondrial DNA depletion syndrome, which causes progressive muscle weakness, brain damage and respiratory or liver failure; it is typically fatal. British hospital specialists believed the baby had no chance of survival, but the parents, Chris Gard and Connie Yates, crowdfunded nearly $1.7 million in four months to finance having the baby treated in the United States. Only 16 children in the world are believed to have been diagnosed with the rare syndrome. When hospital officials wanted to stop providing life support for the baby, Gard and Yates went to a London court with their case, but the court ruled the baby should be allowed to “die with dignity” and doctors could stop providing life support. After the ruling was upheld by an appeals court and the nation’s Supreme Court dismissed the parents’ case, Gard and Yates turned to judges in the European court of human rights. However, that court decided June 27 that it would not intervene in the case. Archbishop Vincenzo Paglia, president of the Pontifical Academy for Life, said the situation of Charlie and his parents “has meant both pain and hope for all of us” and he assured them of his prayers. “We feel close to him, to his mother, his father, and all those who have cared for him and struggled together with him until now,” he said in a written statement dated June 28, and posted online by Vatican Radio June 29. If the relationship between patient, guardians and doctors is “interfered with, everything becomes more difficult and legal action becomes a last resort,” the archbishop said.